Johann Sebastian Bach's Leipzig years (1722-1750) produced an amazing wealth of sacred music. 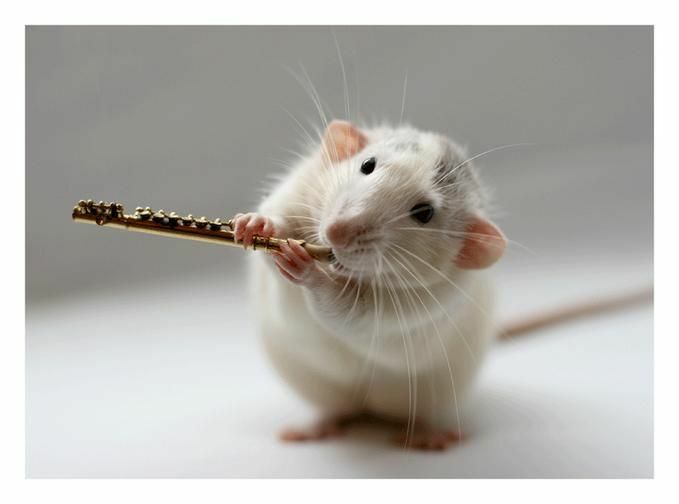 In addition to his chorale cantatas. 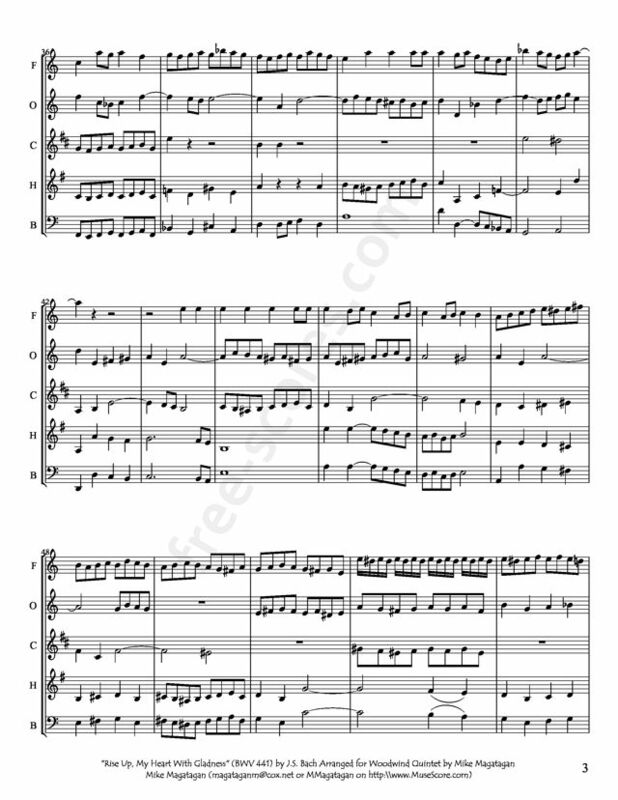 During this period Bach composed six motets, five masses (including the Mass in B Minor), four passion settings (including the St. John Passion and the St. Matthew Passion), the Christmas Oratorio, and various pieces for keyboard and other instruments, as well as secular cantatas. In 1736, Bach edited the sacred songs published in Georg Schemelli’s ‘Musikalisches Gesangbuch’. In this collection, Bach improved the harmonies in works by other composers while contributing at least sixteen melodies of his own. The pieces in this collection were originally meant to be sung in the home for private devotion and in the family circle during the singing period. “Rise Up, My Heart, with Gladness” appears in Schemelli’s collection. 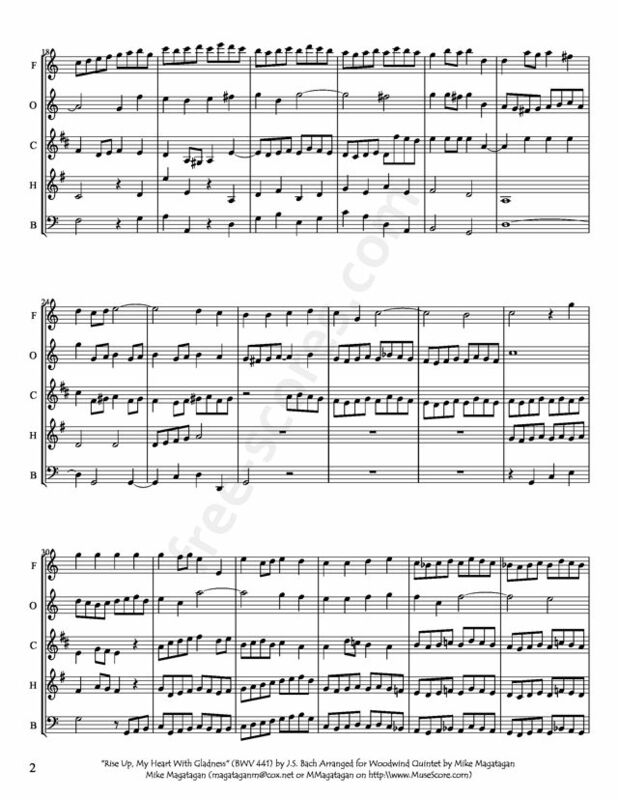 The melody is by Johann Cruger and the text is by Paul Gerhardt. Cruger published several German hymnals during his lifetime. “Auf, auf! Mein Herz, mit Freuden” appears in his ‘Praxis Pietatis Melica’ of 1648, his major contribution to hymnody. To what extent Bach was involved in the composition and publication of the so-called Schemelli's Songbook is hard to know for certain. A collection of 950 selected sacred Lieder and arias advertised in fair catalogues from Frankfurt and Leipzig in 1736 comprehensive panoply of tunes, from old Lutheran pot-boiling chorales to effusive a la mode pietist 'arias' - represented a cradle-to-grave project administered from Zeitz Castle and edited by Georg Christian Schemelli, the Music Director at the castle. 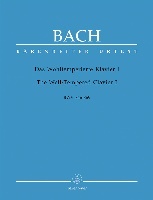 Bach' s involvement centres around 69 chorales (published in recent times as an appendix to Riemenschneider's 371 harmonized chorales) with figured bass, though how many he merely revised and how many he actually composed is still open to some debate. What can be ascertained, however, is that Bach's stamp is often marked indelibly on the most simple line. Even in pieces where his authorship is uncertain, the sentiment of the text is quietly irradiated by an unobtrusive and effortless poise: gracious bass-lines (largely instrumental, as in the rolling Gott lebet noch and Ich freue mich in dir) provide the individual assurance of the texts, joined by apt motivic and harmonic inflexions and well-timed suspensions. 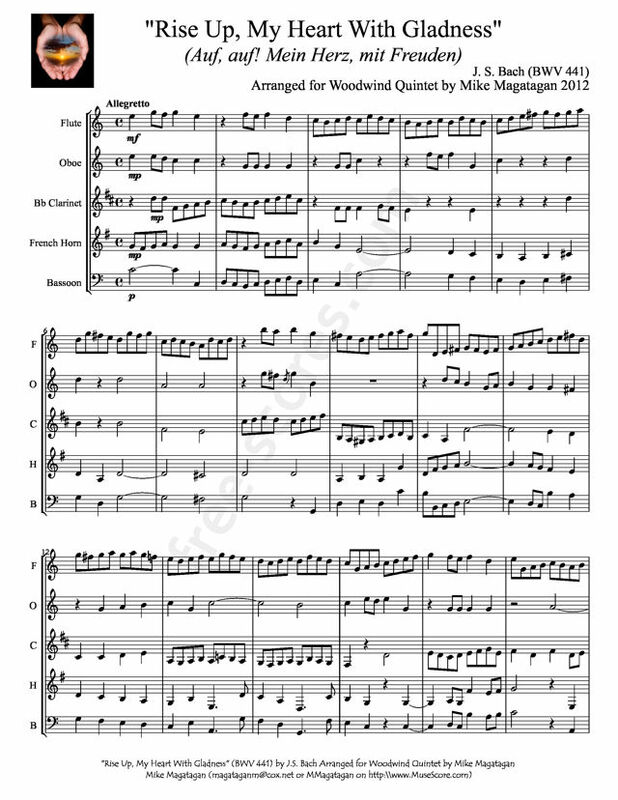 Although this piece was originally written for Chorus and small Orchestra, I arranged it for Woodwind Quintet (Flute, Oboe, Clarinet, French Horn & Bassoon).